Over 34 years ago, back around 1980 I fell deep (and I mean knee deep) in love with P-Funk. I’m 14 years old and listening to Invicta, one of the few London pirate radio stations around at that time playing pure funk, soul and R’n’B music. All of a sudden a track comes on that literally blows my mind. The track was called ‘Agony of De-feet’ by Parliament and it’s completely unique sound was to lead me into a whole new universe and lifelong fascination with ‘P-Funk’. Cut to 2015 and I have just spent the last few months working with George Clinton / Parliament-Funkadelic team and Metropolis Studios on creating the artwork for a very special Album boxset that will be released next month on 18th April 2015. I have devised the entire concept around it; creating the album name; all the accompanying design artwork and packaging; and the themes which have informed all the press and promotion to come. The product is the culmination of a fantastic P-Funk weekender at Metropolis Studios, London last year which included a live performance of the band with special guest, Joss Stone; live to vinyl recording and a filmed Guardian Masterclass. 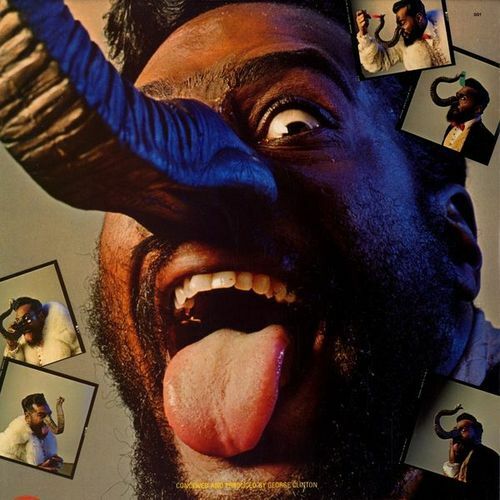 The Box set comprises 2 x 12″ vinyl LP’s, 2 x CDs, 1 x DVD and special foldout poster featuring George Clinton in his ‘Uncle Jam’ guise (American MP’s uniform) and next to the “Houses of Parliament-Funkadelic”, wearing a rosette with archetypal P-Funk slogan, “Ain’t no party like a P-Funk party” and a badge with my self-penned slogan, “P-Funk Up Your Government”. The concept and title for this deluxe box set is ‘CHOCOLATE CITY LONDON: P-FUNK LIVE AT METROPOLIS’. This concept is embellished 1) by the packaging which mirrors that of a luxury box of chocolates with dark, milk and white chocolate 12″ vinyl records and discs. And 2) by portraying London as a ‘Chocolate City; albeit filled with dark, milk and white chocolate citizens. It has also been devised to coincide with the 40th anniversary of the release of Parliament’s original ‘Chocolate City’ album in 1975. A ground-breaking album where Clinton turned the notion of ‘white flight’ into ‘black takeover’ of America’s cities. Chocolate cities made up by the predominance of a black demographic, surrounded by the vanilla suburbs populated by the white middle and upper classes. It is extremely relevant to the UK as it is an election year and will highlight the burgeoning political disillusionment and lack of diverse representation that pervades our society despite London being so richly ethnically diverse in its make-up. Are you out there, CC? Can y’all get to that? I am supa proud to have been involved in such a momentous project, and humbled to have a small place in P-Funk history and discography, which has been both a deeply rewarding experience and a personal dream come true. It’s been a mutha of a journey that could not have been possible without the unwavering support of my wife, Jane, my family and friends such as my lifelong P-Funk comrade and aficionado, Errol Donald aka Pride; two very special people in particular who made this dream a reality, the incredible Kofi Allen​ and Lois Acton​; and last but certainly not least, my inspirational foster godfather, Dr. Funkenstein aka George Clinton. Thank you so much for making that 14 year old boy very, very happy. 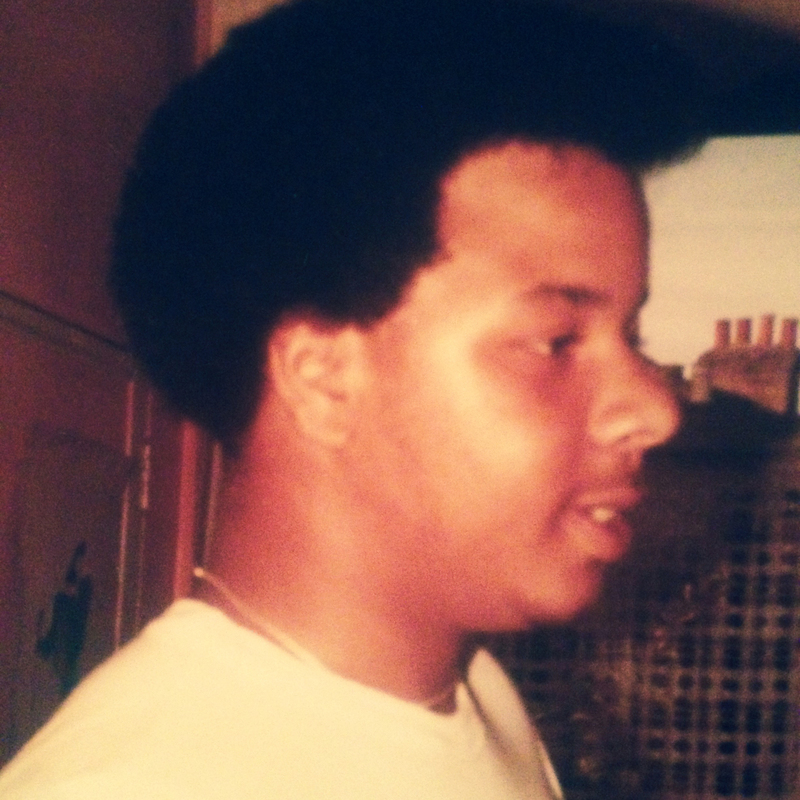 The year is 1980, I’m 14 years old and listening to Invicta, one of the few London pirate radio stations around at that time playing pure funk, soul and r’n’b music. All of a sudden a track comes on that literally blows my mind. The track was called ‘Agony of De-feet’ by Parliament and it’s completely unique sound was to lead me into a whole new universe and lifelong fascination with “P-Funk”. It remains to this day one of my greatest inspirations, for P-Funk is a complete and entire culture that manages to philosophically and aesthetically bind together a giant funk gumbo of; music and musicians; art and artists; and a plethora of super-cool funkativity masterminded by the most magnificent godfather of Funk, George Clinton. Back cover image from the 1980 album ‘Trombipulation’ by Parliament. visualintellectual. RSS feed. Create a free website or blog at WordPress.com.